How is Facebook able to target its advertisements so precisely? By watching your online behavior all the time! A very small portion of the information is self-reported by the Facebook users when they signed up for Facebook accounts, but the vast majority is obtained by tracking your on-line behavior without your knowledge, even when you’re not using Facebook. This raw information is refined using very effective programs called algorithms. 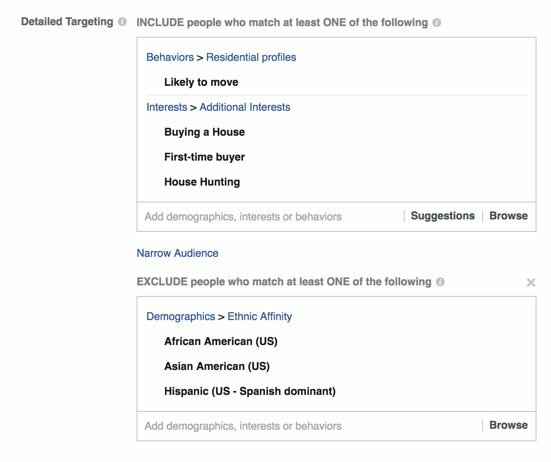 For a partial list of the data Facebook has on you, see the Washington Post article entitled “98 Personal Data Points That Facebook Uses to Target Ads to You.” They know your ethnicity, how much money you make, your household composition, you political affiliation and how strongly you feel about it, your relationship status, what credit cards you have, whether you carry balances on them or not, whether you have a pet, what kinds of vacations you go on, etc.. While you can opt out from getting ads to some extent, you really cannot opt of being watched by Facebook and having your activity recorded for their advertising purposes. Yes – Absolutely. There were certain rules made by the FCC under the Obama Administration in 2016 which guaranteed consumers the right to privacy for certain sensitive information, such as address, financial information, health information, social security number and web browsing history unless the consumer affirmatively “opted-in” to allow their internet service provider access to this information. The Republicans, with President Trump’s support, repealed these rules, saying that it would be unfair to shoulder internet service providers with this burden, because companies like Facebook and Google were perfectly free to collect all this information. Even if these rules had not been repealed, Facebook would still be perfectly free to collect all this information about you, and to use it to maximize its advertising revenue. Facebook’s response to this is that you do have a way to opt-out; Just don’t get a Facebook account. If you had a Facebook account and you deleted it, will they keep watching you? My guess would be yes, but we cannot answer that question without talking to tech people inside Facebook, who are not about to tell anyone because they don’t want the mechanics of how they watch all of us disclosed.